In the summer of 2016, we were approached by a new kids show on TVO kids. This new action show called Kid Diners follows these 2 young hosts ( Aynalem and Xander) while they travel across Canada, cooking with Chefs including Chef Mike Forrest from New Glasgow Lobster Suppers! 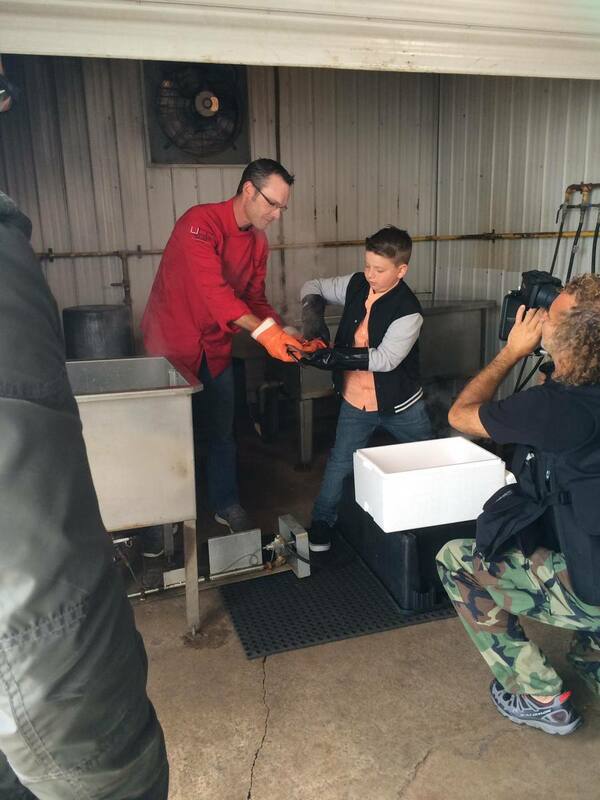 Aired in 2017, Chef Mike & Xander go fishing, cook lobster and Xander eats his very first lobster.